Dragons love feasting on tasty princesses, but one dragon is different. 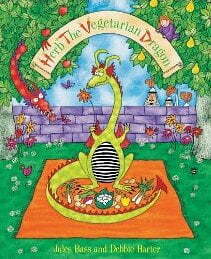 Herb loves vegetables and wants the dragons to be peaceful creatures. Will he convert his friends to his unusual ways?